This week, Alessandra Sulpy and Danielle Head discuss the crossover between Photo & Painting/Drawing. Alessandra Sulpy is a graduate of the Maryland Institute College of Art and Indiana University, and this fall is beginning her 7th year of teaching drawing and painting at her new job at Winona State University. Danielle Head received her BA in Film, Photography and Video from Hampshire College in 2007, and her MFA in Photography from Indiana University in 2011. She is currently Assistant Professor of Photography at Washburn University in Topeka, Kansas. 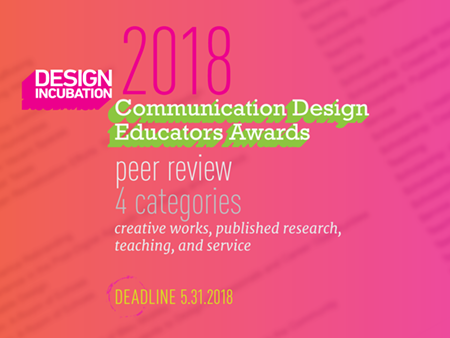 Her teaching focuses on bridging together analog and digital media in the photography classroom and emphasizes photography as a conceptual and fine art medium. 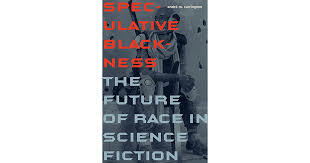 Augustus Durham reviews Speculative Blackness: The Future of Race in Science Fiction by andré m. carrington. Read the full review at caa.reviews. 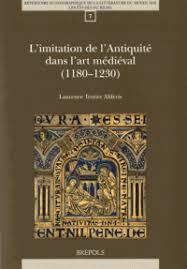 Heidi Gearhart writes about L’imitation de l’Antiquité dans l’art medieval (1180–1230) by Laurence Terrier Aliferis. Read the full review at caa.reviews. A.L. 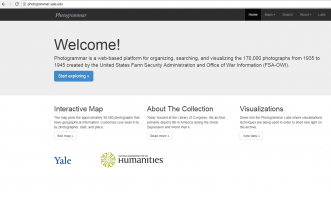 McMichael explores Photogrammar: http://photogrammar.yale.edu/, a digital platform produced by Yale University and the National Endowment for the Humanities. Read the full review at caa.reviews. 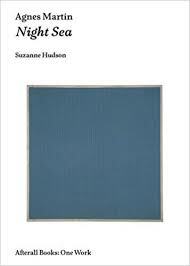 Laura Lisbon examines Agnes Martin: Night Sea by Suzanne P. Hudson. Read the full review at caa.reviews. 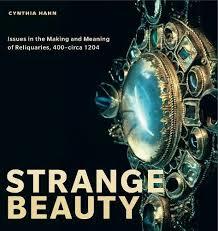 Seeta Chaganti looks at Strange Beauty: Issues in the Making and Meaning of Reliquaries, 400–circa 1204 by Cynthia Hahn. Read the full review at caa.reviews. 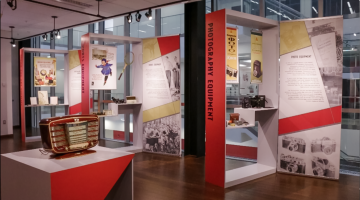 Colleen O’Reilly writes about the exhibition Kul’ttovary: Bringing Culture into the Soviet Home at the William Johnston Building Gallery at Florida State University. Read the full review at caa.reviews. Bridget R. Cooks reviews Muse: Mickalene Thomas Photographs by Mickalene Thomas. Read the full review at caa.reviews. 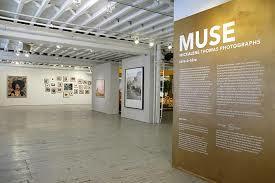 Barbara Reisinger discusses Art about AIDS: Nan Goldin’s Exhibition Witnesses: Against Our Vanishing by Sophie Junge. Read the full review at caa.reviews. 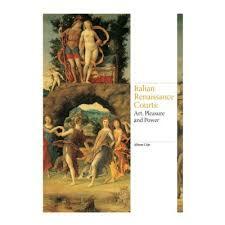 Caroline Hillard explores Italian Renaissance Courts: Art, Pleasure and Power by Alison Cole. Read the full review at caa.reviews. 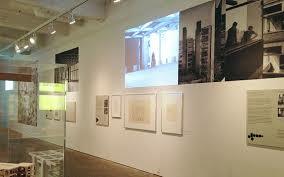 Suzanne Singletary reviews Louis Kahn: The Power of Architecture by William Curtis. Read the full review at caa.reviews. P.C. 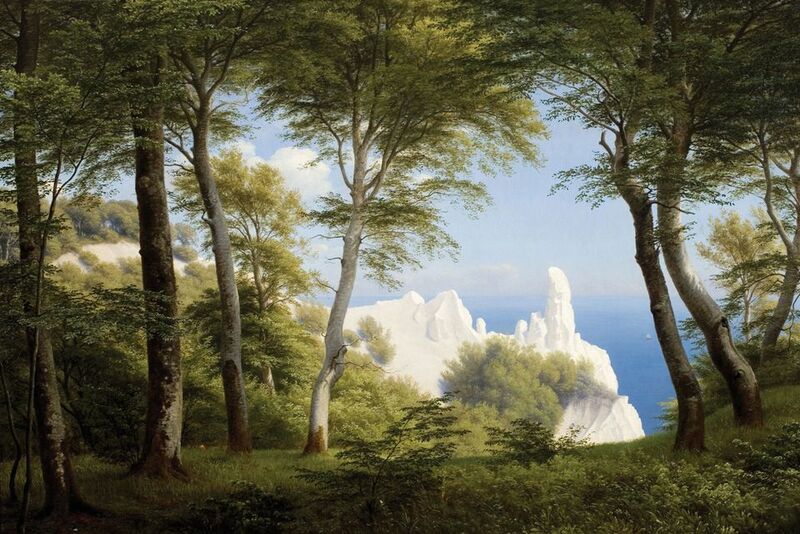 Skovgaard’s View of the Harbour from Mons Klint, 1850, Skovgaard: Skovgaard Museet, via The Art Newspaper. It Matters a Lot Who Teaches Introductory Courses. Here’s Why. This week, Jonathan Johnson and Takeshi Moro discuss teaching photo. Jonathan Johnson is an Associate Professor of Photography and Integrated Digital Media at Otterbein University in Ohio and as worked in public affairs and the music industry prior to academia. Takeshi Moro is an Assistant Professor at Santa Clara University, teaching digital and analog photography. Interesting fact: he is a former corporate finance banker and sushi chef. 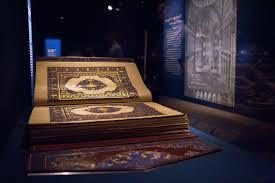 Kealey Boyd writes about Once Upon a Time . . . : The Western: A New Frontier in Art and Film edited by Mary-Dailey Desmarais and Thomas Brent Smith. Read the full review at caa.reviews. Elizabeth Legge explores Prehistoric Future: Max Ernst and the Return of Painting between the Wars by Ralph Ubl. Read the full review at caa.reviews. Sara Blaylock reviews Performance Art in Eastern Europe since 1960 by Amy Bryzgel. Read the full review at caa.reviews. 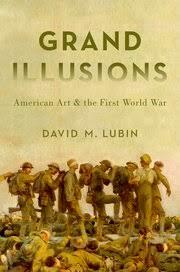 Randall Griffey discusses Grand Illusions: American Art and the First World War by David M. Lubin. Read the full review at caa.reviews. 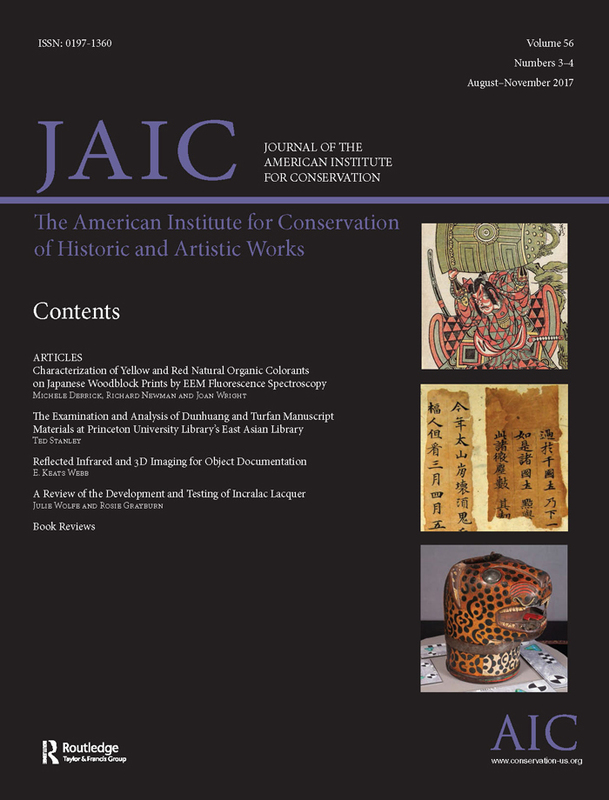 Wayne Franits examines Creating Distinctions in Dutch Genre Painting by Angela Ho. Read the full review at caa.reviews. 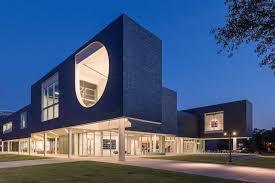 Ronnie Self looks at the work of Michael Maltzan Architecture on the Moody Center for the Arts, Rice University, Houston. Read the full review at caa.reviews. 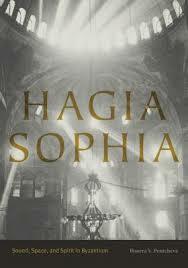 Mati Meyer reviews Hagia Sophia: Sound, Space, and Spirit in Byzantium by Bissera V. Pentcheva. Read the full review at caa.reviews. Alya Karame writes about The Art of the Qur’an: Treasures from the Museum of Turkish and Islamic Arts edited by Massumeh Farhad and Simon Rettig. Read the full review at caa.reviews. 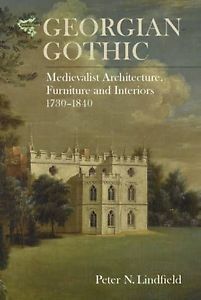 Stephanie A. Glaser examines Georgian Gothic: Medievalist Architecture, Furniture and Interiors, 1730–1840 by Peter N. Lindfield. Read the full review at caa.reviews. In the wake of the Parkland, Florida school shooting in February, President Trump proposed arming teachers as a measure to protect students. “It should be an option for those who already have extensive weapons training or are willing to get it. They also must be aware that when law enforcement arrives, it may not be clear which side they’re on, and they must affirm their awareness of the risks of that situation. Being armed should never be a mandatory part of an educator’s job description, though. Trained professionals who are present exclusively to perform security duties are far more preferable.” — Jill F.
“Arming teachers is crazy: more guns does not make for fewer shootings. Think of the horrible accidents that will happen, as children are in spaces with guns and find out their teachers have them. “It is not my duty to be fully trained to assess every situation for a threat and to respond with a weapon. My duty is to the education of my students and their well being. If there is an insistence on having individuals armed at school institutions, then there should be security officers hired specifically for the task. An educator can not be fully committed to their job if they are trying to do the work of two positions at once. “I strongly oppose arming faculty, as this will only lead to more gun death, especially accidental gun death. This call for guns in school should be taken very seriously. While some may label the call to arm teachers a “politically motivated distraction,” here in Kentucky the bills on the floor of our State Legislature right now (HB210 & SB103) are a deadly reality. These bills would mean that the University of Kentucky, where I work, would no longer be able to restrict guns on campus. A 2008 study showed that 89% of campus police chiefs think that guns on campus make it less safe. In a 20012/23 survey, 94% of faculty said they don’t want guns on campus and 79% of college students said that concealed weapons on campus would make them feel unsafe. However, despite how we at the university feel about guns and our desire for gun restrictions on our campus, we would be beholden to state laws sponsored by the NRA that force guns on our campuses. I am so tired of a small faction of gun fanatics and the greedy gun industry forcing us to live in a society where hundreds of people are killed or injured by guns everyday. ENOUGH IS ENOUGH!!! WE MUST STOP GUN VIOLENCE!!! “It is a dangerous proposal for a number of reasons. Anyone who points a gun must be prepared to kill. If not, they will risk the weapon being taken and used on them or their students. Classroom situations can get tense. There is much empirical evidence that the presence of a firearm actually escalates tensions. So the weapon becomes dangerous to teachers and students outside its use to defend against an armed intruder. My job as a teacher is to teach, not provide security. I am trained in emergency procedures and am a certified Black Belt in Taekwondo. This means I can help my students in an active shooter situation. It does not make me temperamentally qualified to use a firearm. I asked teenage students in my dojang what they thought about their principal having a gun. They were shocked by the idea, saying he already has anger management issues. “No, I do not want to carry a weapon to class, nor do I want my colleagues or students with weapons on campus. This is an NRA driven idea to obfuscate the real problem and obvious solutions. It only serves to increase sales for gun manufacturers. Teachers in a classroom are not police officers or members of the armed services, nor should we be expected to behave like ones. “I think arming teachers is a dangerous proposal. If there is a shooter and everyone pulls their gun – who is to say a teacher won’t shoot a student by accident? And when the SWAT team arrives, how will they know who is the good guy and who is the bad guy? Law enforcement might target the teacher instead of the attacker. I would prefer (though I do not advocate) armed security in school buildings over armed teachers – let’s let everyone be experts in their field. I feel like arming teachers follows the contemporary attitude of “everyone’s an artist” or “who needs professional expertise?” trend, when, in reality, not everyone can be properly trained and equipped for every situation, whether that is painting a pleasing picture, or protecting students from an attacker. School safety should involve in-depth training on a variety of situations: medical, mental health, violence between students, violence against students, non-violent crime, vandalism, etc. Professional security forces will have the time and budget to deal with the possible outcomes and ramifications of all these situations: professors have neither time nor budget to receive this level of training. “I’ve always wondered how arming teachers could possibly help and tried to imagine for myself a scenario of protection. For it to work, you enter the classroom, pull out the loaded weapon and train it on your students, or available entrances for the entire class. That would be the only way you could catch the determined perpetrator before they caught you. Surely any gun carrier, intent on harm, would take out the armed teacher first to protect her/himself. Imagine the art history lecturer in a darkened room. Harder to detect entrants, students in the classroom with weapons, and you certainly couldn’t compromise your vigilance with focusing on a slide, to point out salient features of an image. That practice was at the heart of our teaching enterprise, or, perhaps not the NRA tells us. “This is obviously a TERRIBLE idea, one put out merely to deflect attention from the reality of the benefits of smart gun control legislation. IF, IF, IF it were true that more guns in the hands of adults in crowded places would make everyone safer, then surely the Republicans in their own 2016 Republican National Convention in Cleveland should have allowed adults to carry guns into their crowded Convention hall, right? In fact, they did NOT allow guns in the main Convention hall, of course! See Time magazine’s report on this fact: http://time.com/4399500/republican-convention-guns/ . Here is just one relevant quote from the Time article: “Dean Rieck, executive director of the Buckeye Firearms Association, told TIME that in this situation ‘it may not be wise’ to bring firearms along. He added that no serious gun rights group is advocating for that.” So, President Trump, most Republican legislators, and the NRA all now say that they think that it is a good idea to let more guns into public schools, BUT when it comes to their own meetings “no serious gun rights group is advocating for that” at the Republican National Convention itself? Why not? Safety perhaps? Obviously, no one in the Convention hall wanted to deal with a crazy person shooting dozens of people with an assault weapon. The benefits of banning guns at the Republican National Convention hall are as obvious as the benefits of banning guns from public schools. “Unequivocally a terrible idea to arm teachers and eventually professors too. we are all humans and some of our ranks are bound to “lose it” now and and then. What then? If the teacher is armed the consequences would be staggering. The psychological trauma would be exacerbated by the added factor of betrayal by a trusted teacher. the risk that if the gun is present in the classroom, on the campus etc. then it goes without saying that there is a risk if it getting into the wrong hands, be it students or otherwise. The power balance in the classroom would be detrimental to educating. It essentially would make every interaction about threat assessment. If this rule is enacted, then we will be creating a generation of young people, children who will never feel safe anywhere. One cannot hope to educate in a setting where the focus no longer is teaching and learning. “This is one of the single stupidist ideas I have heard. Ever. Get rid of the stupid guns, don’t put them in the hands of more untrained, underpaid and overstressed citizens. Teachers are trained and paid to teach, let them do that. Put the money this would cost into education. How many teachers buy school suppies out of their own money? Will they have to buy guns and ammo too? Why should teachers have to bear that stress on top everthing they must deal with? Who is to say some teacher wont misuse this power at some point as well? Then what? Who will the guns be put in the hands of next? “Not only is this proposal a terrible idea given classroom safety concerns (and in assuming most teachers are willing and physically able to use a firearm), it’s reprehensible to expect any educator to take on this responsibility. What kind of ethical and moral territory do we enter when we ask teachers to be burdened with the possibility or obligation of killing one of their students? 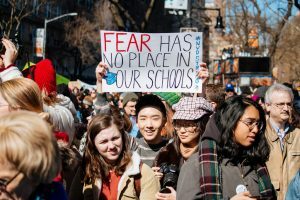 We must also recognize the very real power dynamics in many classrooms and schools — with instructors/administrators positioned as unquestionable authoritative and antagonistic figures — and consider how this would only further alienate students in their own educational experiences, or create an environment that cultivates further abuses of power or control. This proposal is myopic and cruel, and I oppose it in every way.” — Stephanie G.
“I strongly believe that the US needs less firearms of every kind, especially in public spaces. Allowing teachers to be armed in classrooms is not the way to prevent mass shootings and the accompanying fatalities. Instead, it would only serve to further normalize the current gun culture which lauds the idea of nearly every citizen carrying a deadly weapon with little to no regulatory oversight. “The idea that teachers and professors should/could be armed is a terrible idea. Now retired, I was no longer teaching when the Arkansas legislature, in its wisdom, made concealed carry weapons legal on university campuses. When first proposed ALL campus presidents objected and wanted to opt out. Subsequently, the legislature made carrying permitted weapons not only legal, but uncontested. “Allowing guns in school in any form is such a ridiculous notion it is hard to imagine working in an environment where educators are encouraged to bring guns to work. 1) Mad/Mentally ill/depressed student steals the gun and shoots teacher or other students. How are guns going to be secured/locked up in the classroom? 2) Mad/Mentally ill/depressed teacher shoots the students, other teachers or administration. It happens. 3) Gun is accidentally discharged by teacher or student. My brother-in-law accidentally killed himself with his own gun when he slipped on ice with a loaded gun. 4) A climate of intimidation and fear in the classroom because of the knowledge that the teacher has a gun. It is not a matter of self defense. Video games have taught kids that a character with a gun is a entity to be challenged. School shooters are not going to be deterred by teachers with guns. They will target teachers with guns and find it a challenge to kill them before the armed teachers kill them. Its a game. The whole situation is a bigger problem that is not being addressed. There is an increase in mental instability of the students we serve. This has become very apparent at all levels K-12 and college level. Why? and how can we deal with this problem? Art classrooms are in a unique position because students reveal their inner thoughts and the issues they face through the work they produce either orally or visually. Recently one of my students was so depressed and despondent that I reported it to the college authorities because of my concern of possible suicide. They told me there were walk in hours at the Counseling Center and I told the student she should go there. She told me she had been there many times and as recently as the day before and that it only made her more depressed to talk about her issues. So what do I, as a teacher, do next? I had a graduate student that would occasionally become violent and irrational and “flip out”. We had to call the police a few times in fear of him hurting others or himself. The police talked with him and called a medical professional to adjust his medication but he was right back in school the next day. Kids are being raised in a world of instability, fear and hate. Many are not getting the nurturing and love they need at a young age because of a number of reasons. Many are born with mental illness via genetic heritage. These kids are forced into the mainstream and are often alienated and bullied. Over years of enduring this type of treatment, these individuals become angry and want revenge. Bullying in schools runs rampant and can adversely affect kids’ entire lives. We need strict enforcement of respectful behavior towards one another in the schools. Of course that brings up the issue of good role models which unfortunately our current government does not portray and the trickle down effect is making its way into the classroom. Anyone that wants to shoot other people, obviously, has emotional/mental illness issues. Deal with the mental instability epidemic and you reduce the possibilities of school shooting and other irrational violence. Deal with the bullying problem and you reduce the angst it creates. “It is ridiculous to arm teachers, who are not experts in firearms and policing. Really the important thing is to regulate guns and get rid of these killing machines. The proposal increases the need for guns, so is very profitable for those businesses who support the NRA. Yes, just what we need is more guns! “Arming teachers is absolutely not the solution to this problem.” — Colleen F.
“We should absolutely NOT arm teachers.” — Colleen F.
“It is a terrible idea. I wouldn’t own a gun but if I had one and brought it to school, I would leave it in my purse, locked in a filing cabinet which would be locked in my office on the other side of the building from my classrooms. My fear is that a child or a young person could get ahold of the weapon and wreak havoc. 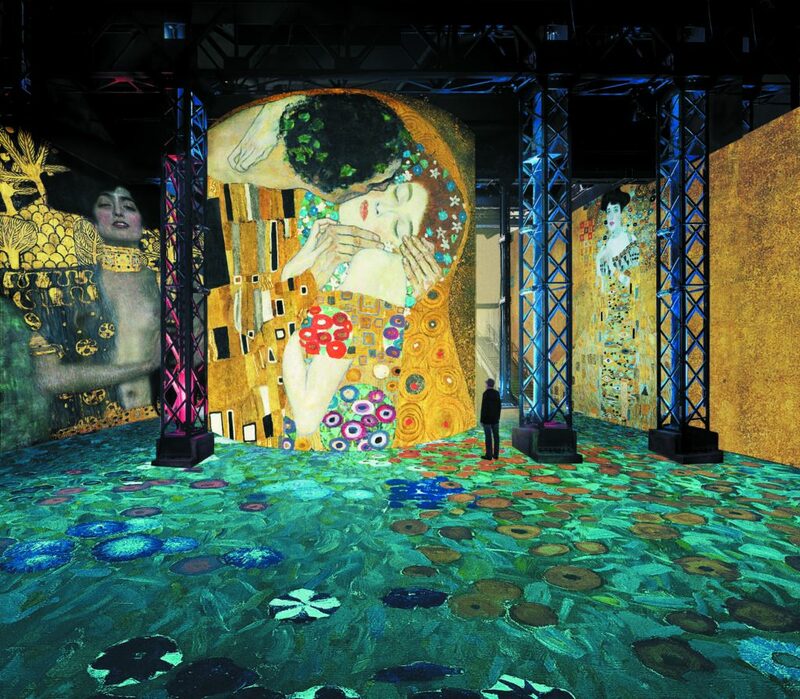 Simulation of the immersive exhibition Gustav Klimt – Atelier des Lumières. © Culturespaces / Nuit de Chine. 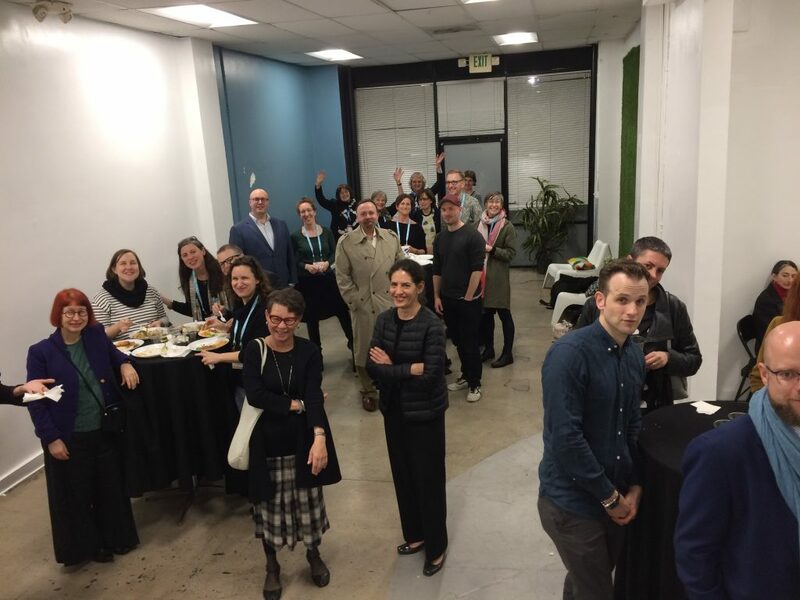 This week, Sarah Krupp and Meghan O’Connor discuss shifting from a BFA to a BA as faculty. Sarah Krupp is an Assistant Professor of Sculpture at Wayne State College in Wayne, Nebraska. She teaches 2D & 3D Design, all levels of Sculpture, and sometimes Art Appreciation. Sarah can generally be found coated in a mixture of wood, plaster and metal dust. 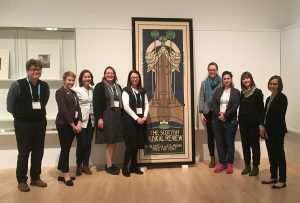 Since 2007, Meghan O’Connor has been teaching a combination of foundations and printmaking courses; currently at Wayne State College, one of Meghan’s biggest challenges is removing all the cat hair before discussing craftsmanship with her students.